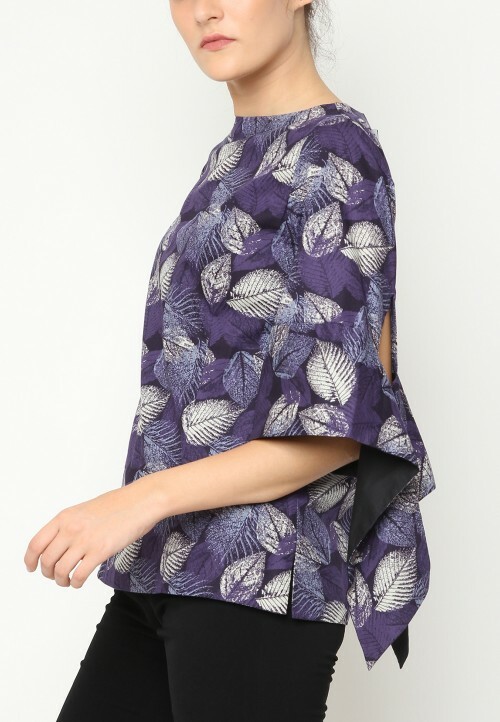 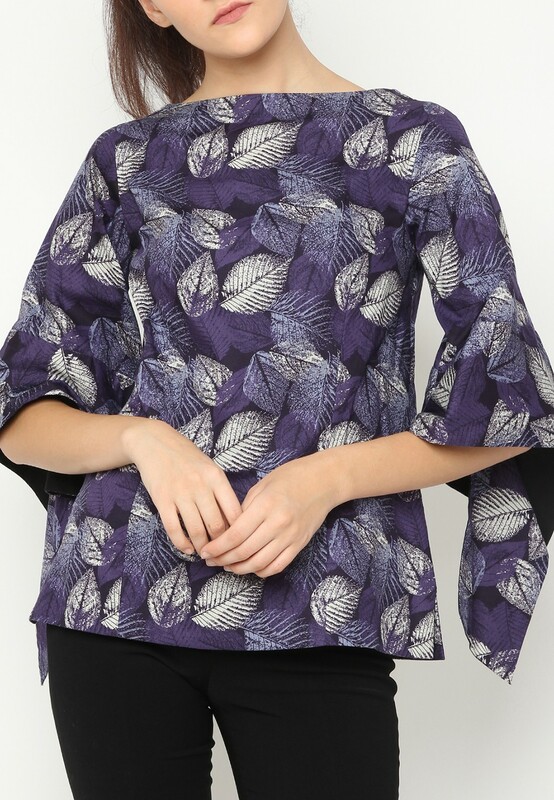 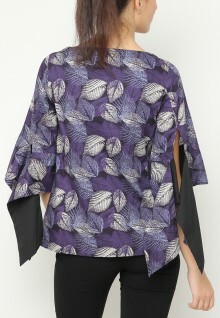 Cotton print blouse with elegant contrast sleeve details. Loose cut silhouette, pull over to wear. 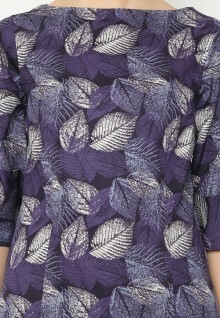 Wear with skinny jeans or slim trousers.